In the afternoon of February 21, 2011, Zhu Jiajun, Vice District Mayor of Pudong, Shanghai, Guoping Huang, vice director of Jinqiao Export Processing Zone Management Committee, Xi Zhizhong, General manager of Shanghai Nanhui Industrial Zone Investment and Development Co., Ltd. and other leaders arrived at the head quarter of SBM to inspect the society. In the company of the SBM Group Chairman, the manager of Operation Department, the Director Sales department and so on, Mr. Zhu and the others visited the company's sales center, R & D center and exhibition hall. Subsequently, the two parties held a meeting in the company’s conference room. 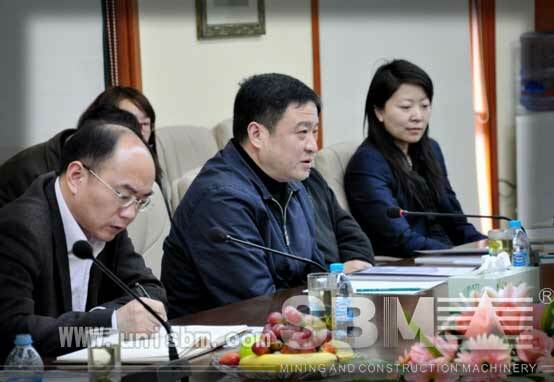 After listening to the status of company operations and the report of the development strategy, Mr. Zhu showed complete recognition and concern about the industrial development strategy of SBM. Mr. Zhu said the level of equipment reflects a country's power. The government will support the development of enterprises. 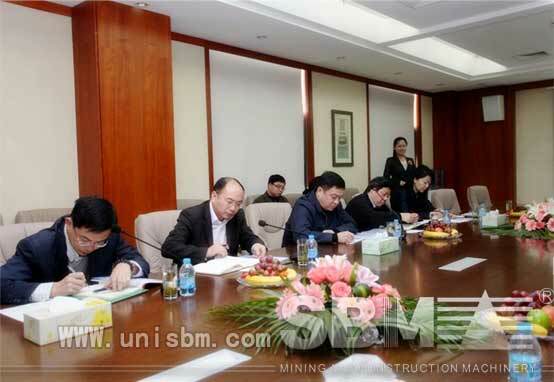 He was very pleased to find SBM has such a strong determination to make its companies better and stronger. Mr. Zhu said he would pay close attention to the development of SBM, and make effort to complete Government support and services. The Chairman of SBM said the visit payed by Mr. Zhu and all the other leaders to the head of SBM encouraged all the employees of the group. SBM will strengthen its work to live up to the leadership of concern and love, to make its best contributions the take off of new undertaking of Pudong area and of advanced equipment industry of China.